These spring snowballs aren't made of real snow, thankfully! 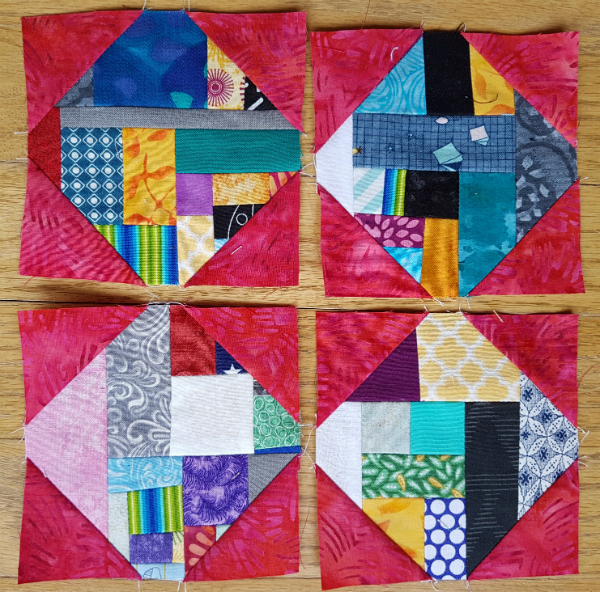 I've been working on my Murrina quilt, from Kelly Young's book Stash Statement, in preparation for my stop on the blog hop later this month. 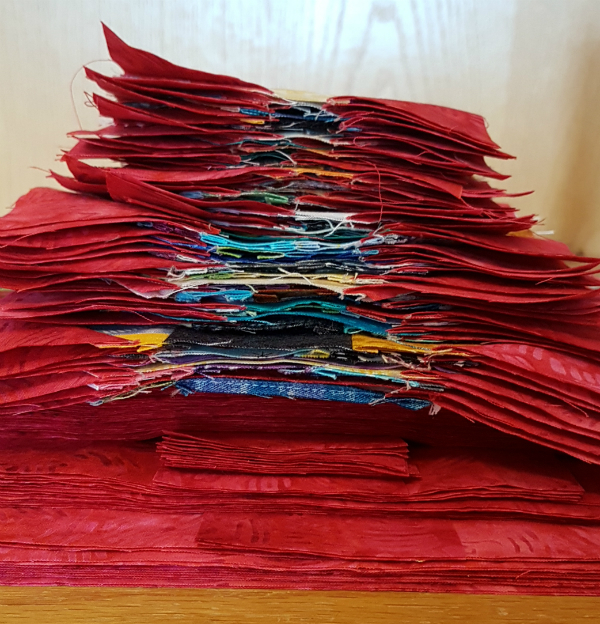 There are 51 snowball blocks in the quilt, in three different sizes, and mine are all finished 😊 Don't they look pretty all stacked up? 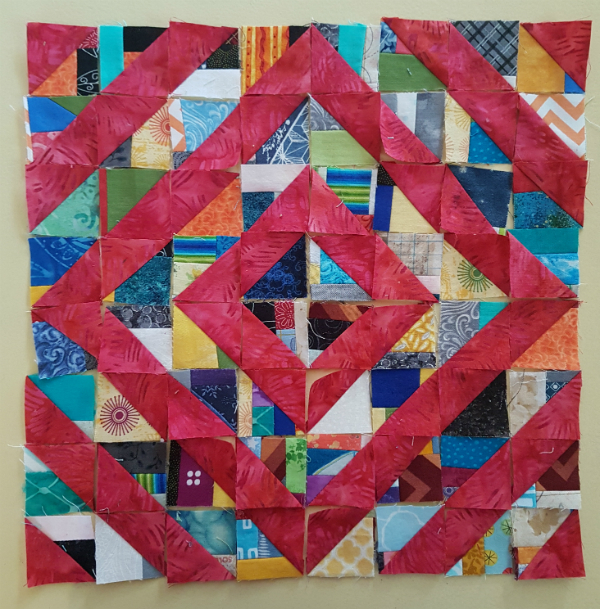 Island Batik provided this gorgeous fabric for the background of the quilt and it was so much fun to press open each corner and see how the bright pink batik interacts with the crazy busy-ness of the scrappy block centers. Here's one of each size block. Some of the medium blocks. 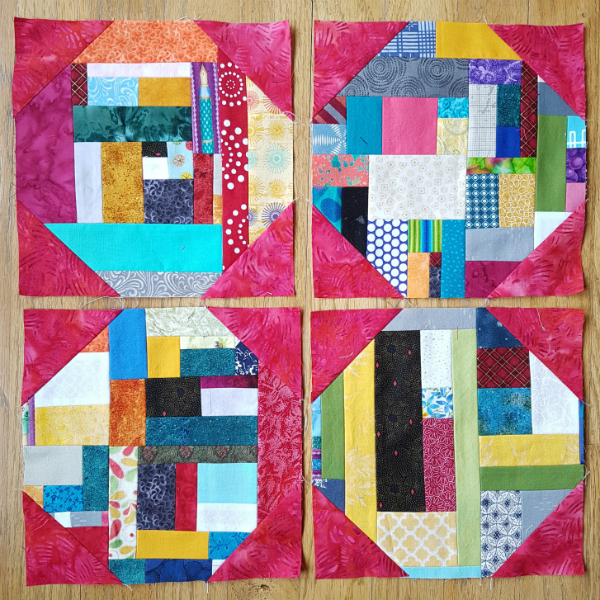 And some of the big blocks. 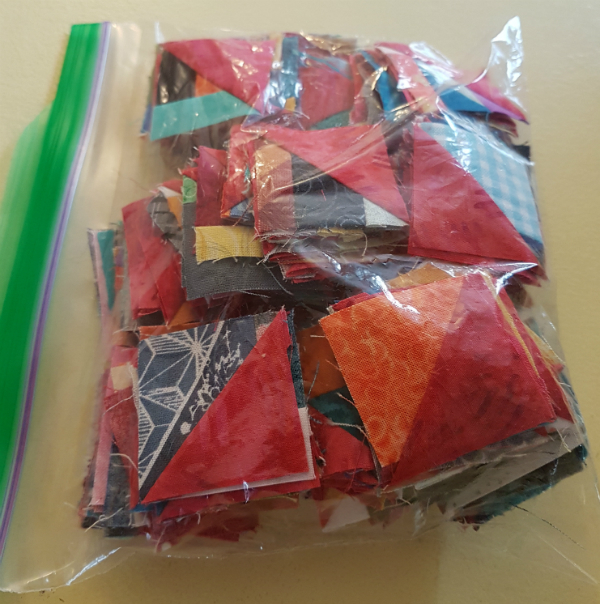 Since I was going to be sewing all those corners (204 of them, to be exact), I figured I might as well also make some bonus HSTs while I was at it. No sense wasting all those corners, right? I drew the lines for 1 1/2" finished HSTs on all of the corners. On the smallest blocks the seam allowances ended up being slightly smaller than 1/4", but I think they're still wide enough to not cause problems. I loved pressing these open too! 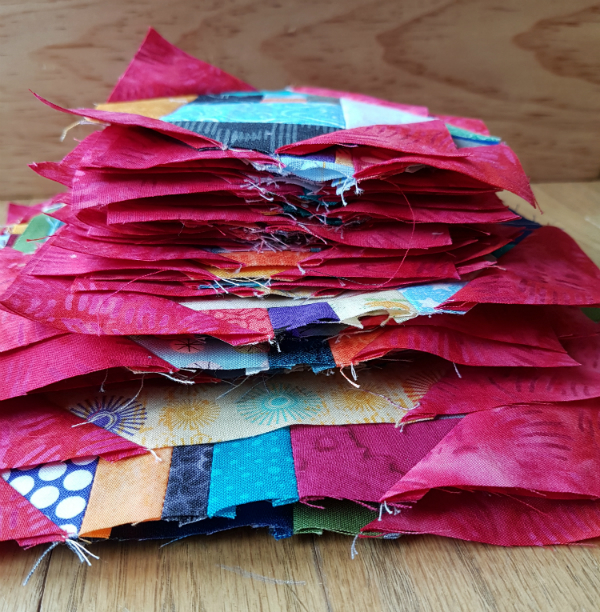 With 204 tiny, scrappy HSTs, I couldn't resist playing around with a few of them in a fun layout. 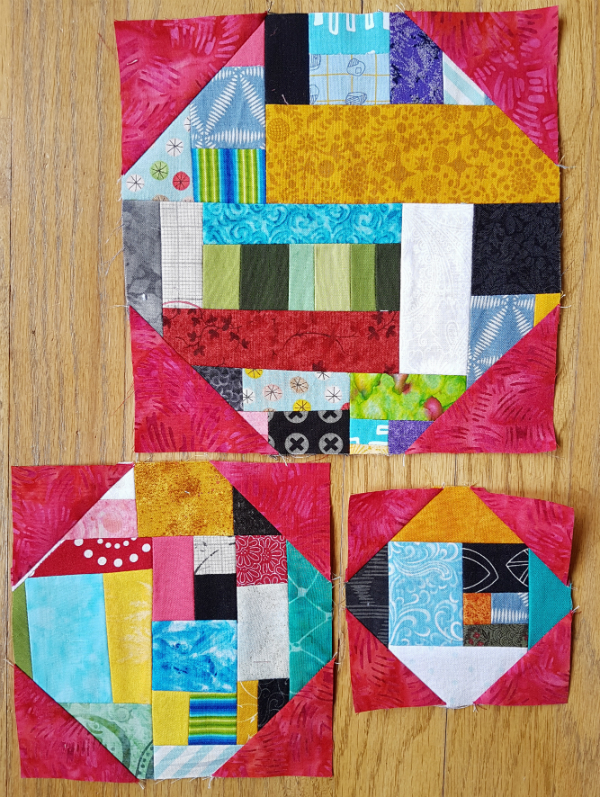 I found that any HSTs with red or dark pink in the scrappy half of the block messed up the look of the layout because there isn't enough contrast. I'm sure I'll find a use for them sometime, though. Maybe a pincushion or something like that. 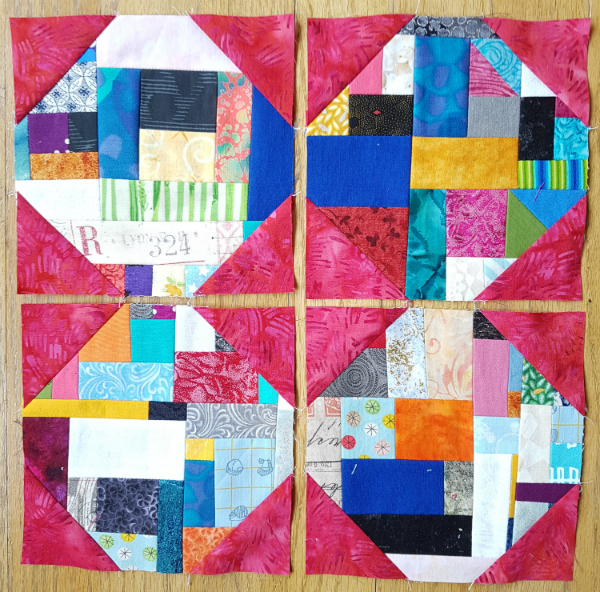 I'll definitely want to play around with Kelly's method of scrap sewing again. 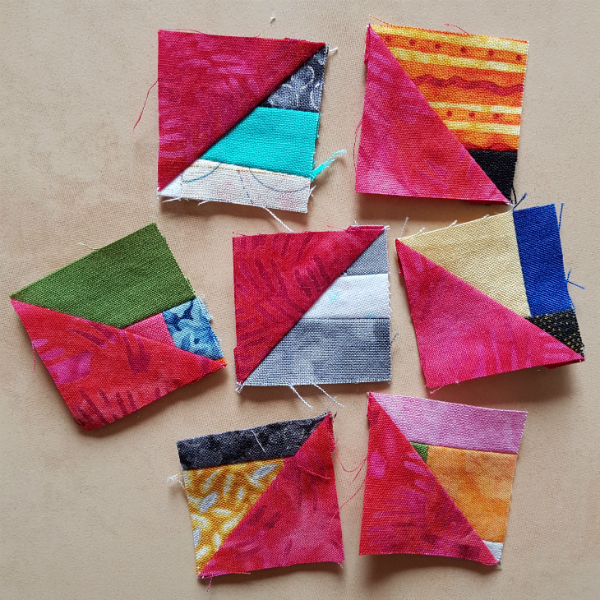 And those tiny HSTs have sparked an idea for a future quilt too. One thing's for certain...I'll never run out of ideas for things to make! The scrappy snowballs look like a great deal of work I don't know how you find the time! Your blocks look great. Can't wait to see them all pieced together.